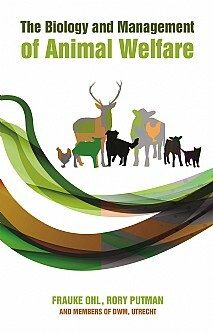 This book provides a concise and up to date review of current knowledge on the biological processes affecting animal welfare, and the implications emerging from our improved understanding of those biological principles in terms of options available to assess and manage the welfare status of individuals and populations. Biological principles are embedded within wider consideration of the ethical basis for our concern about animals and their welfare, in recognition of the fact that concern and responsibility for welfare is strongly affected by cultural and ethical norms. The Biology and Management of Animal Welfare covers several topics not addressed in other texts. Thus it pays attention to the difference between animal welfare and animal rights and distinguishes between welfare and evolutionary fitness (which often causes confusion). The thorny problem of necessary versus unnecessary suffering is considered; most legislation provides for the prevention of unnecessary suffering but never defines it. In addition a box feature explores how human psychological development can affect attitudes to animals and how psychological dysfunctions (in terms of attitudes to other humans) can often be detected in advance from attitudes to animals. The book also includes consideration of alternatives to animal experimentation with a chapter devoted to the 3 Rs (Refine, Reduce, Replace). Written by authors who work in the field and all regularly contribute to postgraduate courses in animal welfare, in veterinary faculties and elsewhere, the text is deliberately kept short and concise to emphasise the essential principles, but is comprehensively referenced throughout in order to guide the reader in their own wider background reading around the framework provided by this overview. The book includes a number of dedicated box features that offer more detailed illustration or worked examples for some of the topics addressed in the text, or to focus attention on additional special topics. Should responsibility for animal welfare vary with context? The book is specifically a primer for undergraduate and postgraduate students and other interested professionals who work in or have an interest in the field of animal welfare.